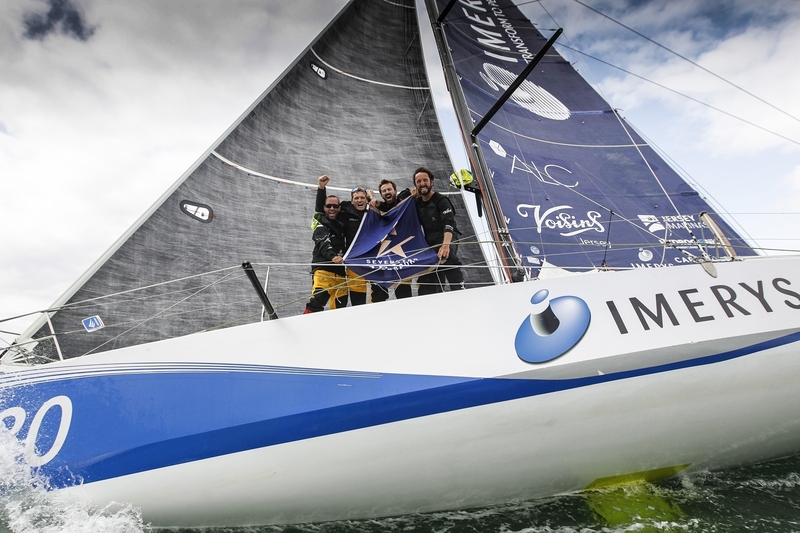 Phil Sharp, skipper of Imerys Clean Energy and crew Julien Pulvé, Pablo Santurdé and Sam Matson enter the record books with a new Guinness World Record following ratification from the World Speed Sailing Record Council (“WSSRC”) for their Round Britain and Ireland circumnavigation last week. “Breaking the Round Britain and Ireland World Record was never going to be easy based on the expected conditions throughout this complicated route, which certainly made the race both demanding on a navigation and endurance front. 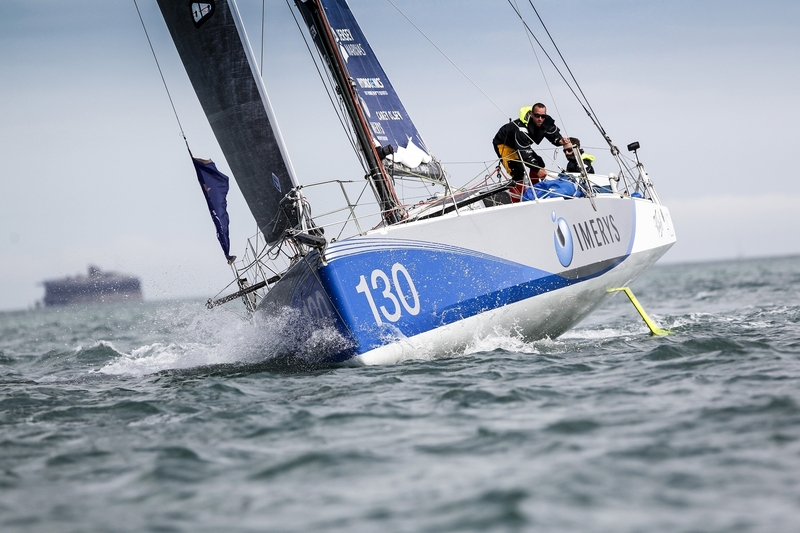 This record now sits alongside Phil’s 2016 solo Outright Monohull Record for the Channel aboard the same vessel and still held as the fastest single-handed crossing of any yacht below 60 ft.
“I couldn’t be happier to add this result to my 2016 9-hour solo Channel Record, which was really an all-out sprint and one crazy day out! Setting this 8-day marathon record for Round Britain and Ireland was very much achieved by the team’s endurance and consistency in working around the clock to race fast and make clean tactical choices. It is very satisfying as these are two of the most prominent records this side of the Atlantic, so it is a special reward for everyone involved. “Overcoming the challenges we faced along the route made for some very meaningful training ahead of November’s Route du Rhum race [St-Malo – Guadeloupe, solo] and I am grateful to both the team on land and sea for their tireless involvement, along with the fantastic support from our partners to help make this possible. Records are there to be broken and the boats will continue to get faster, but for now we can toast to success!” Phil continued. Comments: Previous record: “Swish”. Roderick Knowles. GBR. Aug 14. 8d 19h 6m 49s.